As we get older, our bodies undergo numerous changes. One of the most interesting bodily changes we experience as we age is the appearance of wisdom teeth. Some people never get any wisdom teeth, others receive anywhere between 1 and 4 teeth, and a few people have even reported more than 4 wisdom teeth. Research is ongoing to determine why the number of wisdom teeth varies, but most people need to have their wisdom teeth extracted. If you’re in need of wisdom teeth extraction, let Dr. Shiloh Lindsey at Aspen Dental Care help. Located in beautiful Ft. Collins, CO, our practice strives to make each patient feel welcome and comfortable. Call to schedule an appointment, or for more information about our practice. We’re always here to help. If you’re like most patients, you probably don’t know much about wisdom other than they hurt, they usually come in between the ages of 17 and 25, and they don’t make you feel particularly wise. Like most aspects of human evolution, wisdom teeth existed to help us survive. Thousands of years ago, our ancestors had a much more difficult to chew diet. They ate uncooked meat, coarse grains, and hard seeds and nuts. This caused their molars (back teeth most effective for chewing) to wear down over time. A third set of molars (now called wisdom teeth) would appear later in life to replace worn down, broken, or lost teeth. This may seem like a reasonable explanation for why we have a third set of molars, but what about why we call them wisdom teeth? The origins of this name date back to the 17th century. Because the late teens and early twenties were known to be the years when people learned the most, the set of molars that appeared during this time were referred to as, “teeth of wisdom.” By the 19th century, this term was shortened to “wisdom teeth,” and we still call them that today. Some patients are able to retain their wisdom teeth. For people with adequate space along their jaw, and healthy surrounding teeth, this is an excellent solution. However, almost all patients will need these teeth removed. Wisdom teeth are often impacted (do not emerge due to blockage by other teeth) or semi-impacted (only partially emerge due to blockage by other teeth). When this happens, the teeth can be forced to shift as the tooth grows. Impaction can also be very painful. In addition to impaction, patients often need wisdom teeth removed because they are decayed. As the tooth breaks through gum tissue, that tissue become irritated and swells. The swelling of the gums makes third molars very difficult to adequately clean which increases the chance for cavity causing bacteria to grow. Infrequently, more serious issues may arise. Cysts have been known to form around wisdom teeth. These cysts left untreated can hollow out your jawbone or do serious damage to your nerves before any symptoms emerge. 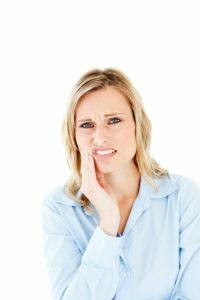 Whether you need to extract your wisdom teeth for one of these reasons or want to keep them, they will need special attention and care as long as they remain. Your dentist should examine them regularly to check for possible signs of decay, gum disease, cysts and other adverse dental health effects. If you think you may want to have your wisdom teeth removed, the sooner you do it, the better. As wisdom teeth grow, they become firmly embedded in the jawbone making extraction more difficult the longer you retain your third molars. Young adults tend to have better luck with extraction as their root development is incomplete. There are two main ways to remove any tooth including your third molars “pulling” the tooth or surgically removing the tooth. When a wisdom teeth has emerged, it can typically be pulled like any other tooth with local anesthetics and minimal damage to teeth and gums. However, more often wisdom teeth that are removed have not broken through the surrounding gum tissue for a number of reasons. In this case, the tooth must be surgically removed. Your dentist or oral surgeon will cut a flap in your gum tissue, and extract the tooth. In some instances, bone tissue must be cut away before the molar can be removed. When this happens, your dentist will work to retain as much bone density as possible. Often the best way to do this is to “section” the tooth. Sectioning means that the dentist will cut your tooth into smaller, easier to remove pieces. If you’re ready to have your wisdom teeth extracted, call Aspen Dental Care today. Dr. Lindsey is a highly skilled dental practitioner, and she can help you establish a plan for your wisdom teeth. Located in Ft. Collins, CO, our office welcomes patients from Wellington, Bellvue, Loveland, Windsor, and beyond.